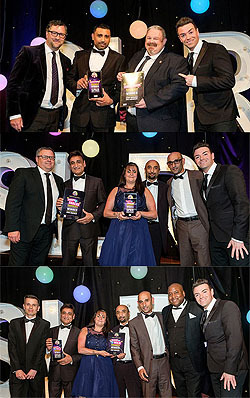 Scottish Local Retailer Rewards 2017 took place on 11th May at Glasgow Grand Central Hotel. 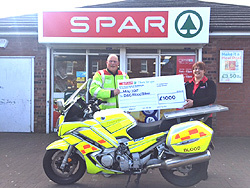 SPAR Rosevale, owned and operated by CJ Lang and Son Limited has recently donated a generous £1000 to G&D Blood Bikes. 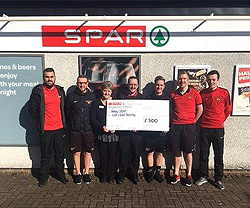 SPAR Georgetown, owned and operated by CJ Lang and Son Limited has recently donated a generous £500 to Let’s Get Sporty. 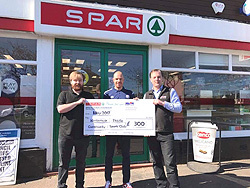 SPAR Kirriemuir, owned and operated by CJ Lang and Son Limited has recently donated a generous £300 to Kirriemuir Thistle Community Sports Club. 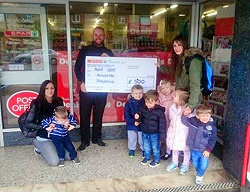 SPAR Bonnyrigg, owned and operated by CJ Lang and Son Limited has recently donated a generous £500 to Amuse Me Playgroup.